All accounting professionals know the importance of a well-designed Chart of Accounts (COA). 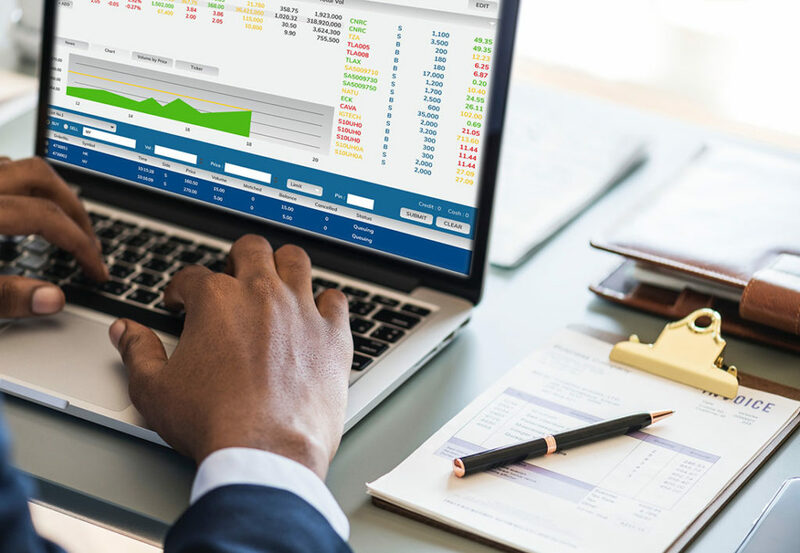 Whether you’re new to Microsoft Dynamics GP or a seasoned veteran, you’ve pulled the COA report for yourself and the other business leaders within your company. Have you ever wanted to customize it, though? Our team gets this request a lot. Add another segment – you can have a maximum of 66 characters and 10 segments – but check your maximum at Tools>Setup>Company>Account Setup. If you want more than the installed maximum, you’ll need Account Re-Formatter by Corporate Renaissance Group. 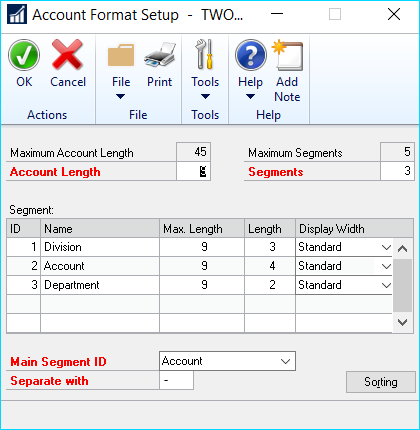 Combine segments – reduce your number of segments by combining 2 or more. You can always add segments or add characters to your segments, but you cannot reduce the segments or characters in a segment If you must do this, you need Account Re-Formatter. Align the Chart of Accounts across entities – make Management Reporter reports easier with a uniform Chart of Accounts. Switch the order of the account string – if you do a lot of manual entry, maybe having the main account first is easier but most reporting tools can slice and dice easily. Implement Binary Stream’s Multi-Entity Management (MEM) – this tool allows you to combine entities yet still keep them separate in one company database. What reports are affected by the change in the COA? You should identify all the reports in Management Reporter that will change. If you have any SSRS or Crystal Reports, make sure they are configured to handle additional segments and space on the reports. What tool will accomplish this for me? You will want to choose a tool to make this easier. There is a free one that you have called Professional Services Tools Library. Your partner will need to download it for you, but this tool allows you to modify and combine accounts, and customers, vendors and inventory items. There are many other cool features. For free. What default accounts will be affected? 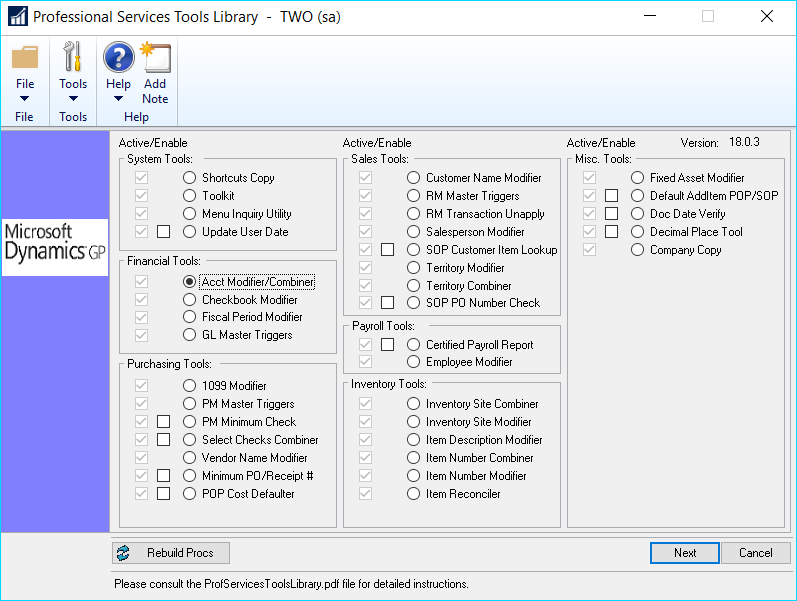 All modules in Dynamics GP (think Payables, Payroll, Sales, etc.) will have their default accounts changed. You will need to check on any ISV add-ons. What integrations will be changed? Check on all your integration sources to make sure they are updated with the new Chart of Accounts. This is very important and will take longer than you think. What customization might be affected? Make sure you check all customizations that might be affecting account numbers. They will likely need to be tweaked. What amount of time do I need? Much more time than you think. Make a checklist and be sure to test. Do I need to test? You need to have a test company setup and run the process in the test company and check all the new reports to make sure they tie to the old reports. This is where the archive company comes in handy. Crestwood has the experience to help you plan the effort. There is a lot of work to do and ticking and tying, but that’s what we accountants like. It will be worth it when your new reports are much easier to read. Subscribe to our blog for more useful Dynamics GP information.